Add unique charm and comfort to your patio or outdoor living space with this hammock chair and stand set. The hammock swing features an elegant, tufted design, reminiscent of the Victorian era. The soft, cushioned fabric is polyester with a poly-fill. Polyester ropes hold the hammock swing seat onto the 39-inch hardwood spreader bar, providing you with a comfortable and stylish place to sit and unwind. 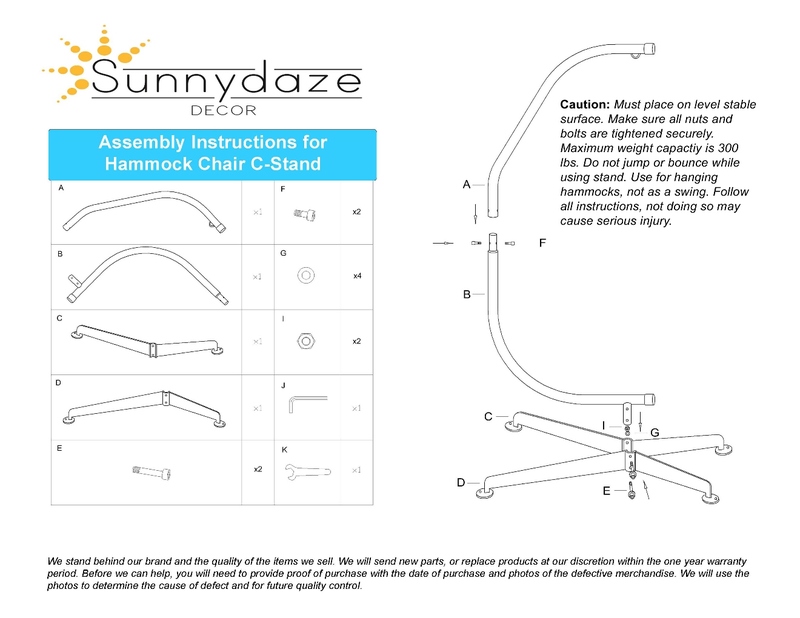 Each chair comes ready to hang so you can easily add it to your porch, patio, deck, or any indoor space as well. Included with the chair is a C-stand that provides your hammock swing with 360-degree motion so you can turn yourself away from the sun when needed or face whichever direction you want. It's also perfect for attaining that relaxing swaying motion for a nap or relaxation. Thanks to its durable construction, the heavy-duty stand will be just what you need to enjoy your hammock swing to the fullest. Each order includes your choice of hammock chair color with stand. C-stand dimensions: 84" H x 52" leg base; 50 lbs weight capacity: 300 lbs so it is strong enough for most average adults.